West Elm – Fine MCM Shopping! Pictured above is the Ring Doorbell. Security should be synonymous with home. Pretty much gone are the days when folks could leave their homes and cars unlocked and feel fine about that. Yes, it’s sad, but as things change, we must also come up with the ways and the means that make us comfortable. Working from home, I felt a certain level of safety between being here and being here with my 115 lb Doberman. We also had bees that would come up on our porch to drink out of our fountain, by the hundreds on a hot day. I joked that I had great security but I really truly did. Most folks are not going to mess with a Doberman or bees and especially a combo of both. When I began working outside the house more, security became a flag in my mind. People had mentioned the Ring doorbell and looking into it I was very impressed. Now that I own one, I will never ever be without it! It’s wifi enabled and videotapes everything. But it also acts as an intercom, whereby you can answer the ring (even if someone is loitering on your doorstep but hasn’t actually rung the bell) and talk to them as if you were home. It creeps some folks out in a good way! I WANT folks on my doorstep to wonder what I can see an do! I want them to wonder am I home. The device syncs with your smartphone so you get a door chime on your phone when someone is there. 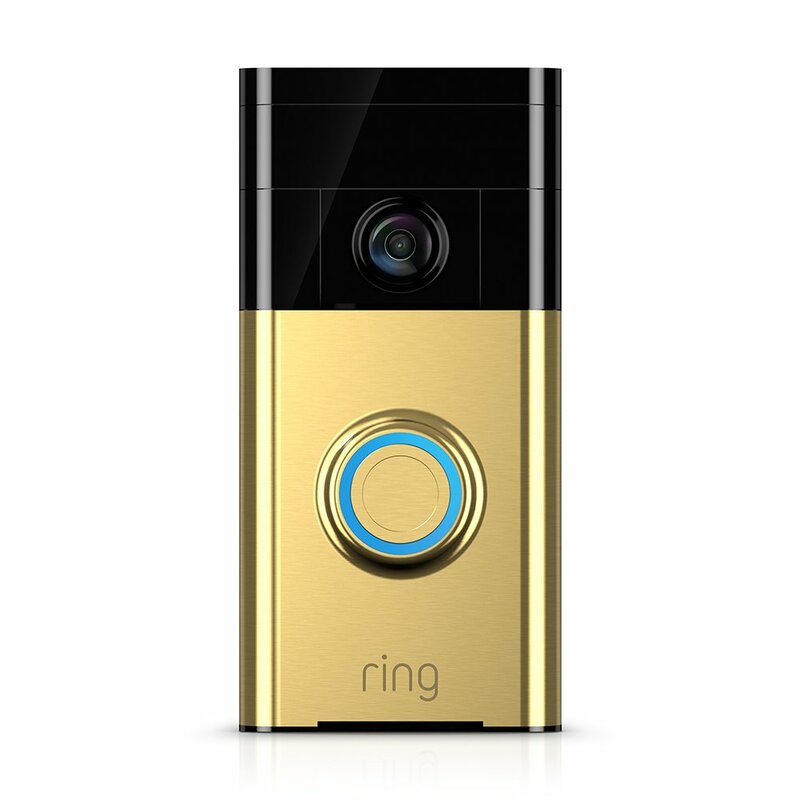 Ring also offers video cameras and a door chime so that you don’t need to rely on always having your phone, such as when you are away but someone is still home, so they can hear the bell. 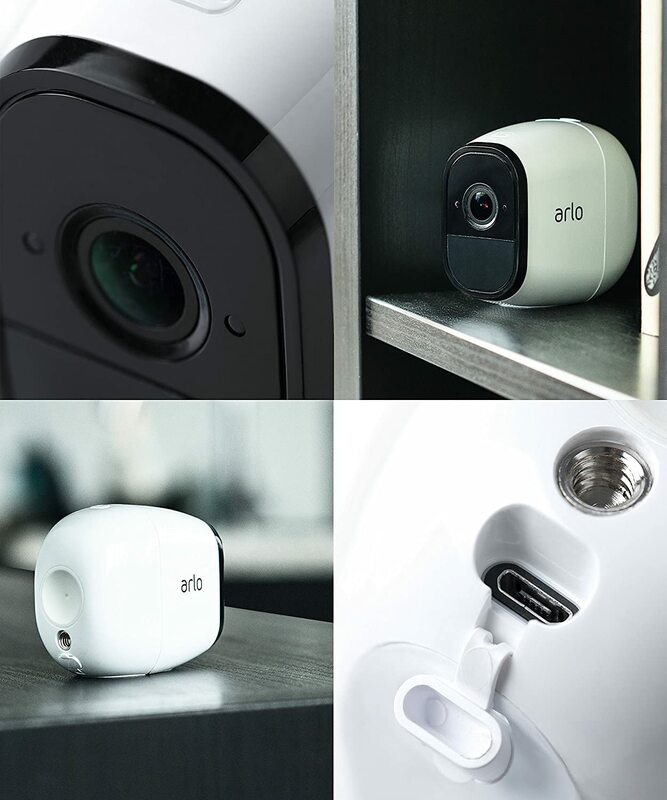 These little cameras hide anyplace and securely magnetize to the base. The batteries last a good amount of time. We’ve had ours for 2 years now and have gone through 2 sets of batteries. Video is retained for 30 days and you can receive alerts and view online and save or delete video as needed. 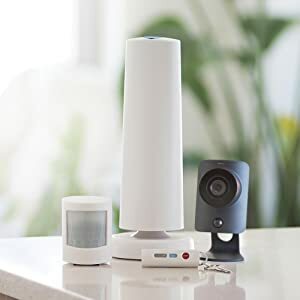 SimpliSafe is a wireless system with no long-term contracts. So you’ll never pay for something you’re not using. As SimpliSafe is wireless, it’s an easy, DIY installation, nothing hardwired, no drilling required. The kit featured above is $399.99 and comes with pre-programed sensors that start working instantly—right out of the box. All packages are fully customizable, so you can start with the sensor listed in this package and add more sensors whenever you want by logging into your account. The 24/7 security monitoring is just $14.95/mo. The esthetics on all of these products is slick and goes well with an MCM home and vibe. Call it groovy security! Easy Ways Toward Reducing Your Carbon Footprint Each Day! The Site Keeper on Dallas TX – Cliff May Home Tour Casa View Area! essayforme on Dallas TX – Cliff May Home Tour Casa View Area! writeaessay on Dallas TX – Cliff May Home Tour Casa View Area!